Are you seeking a disability support worker job in NSW? At Civic, we are experiencing a strong period of growth and are looking to recruit sincere and caring staff to help provide excellent service. Our disability worker jobs are a primary focus area for Civic as we seek to provide outstanding personal assistance to those that need it most. You will have the opportunity to work with youth, adults and seniors across the Greater Sydney region, including the Hunter, Blue Mountains, Western Sydney and Shoalhaven areas. You will provide a range of individualised support to our clients and help them transition to more independent living. 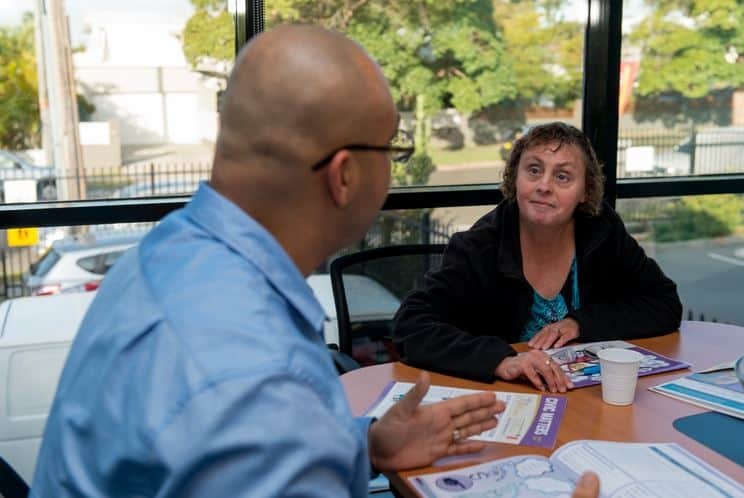 At Civic, we use Person Centred Active Support (PCAS), which focuses on the empowerment of individuals with greater participation in their own life, meaningful engagement to strengthen our client’s skills, valuing and supporting our client’s choices and goals, and building relationships within the community. Key responsibilities performed will include personal assistance with client’s mobility, eating and drinking, personal hygiene, administration of medicines, appointment attendance, fitness and general domestic tasks. Our staff must be highly flexible in responding the various needs of our diverse client cohort. Our available roles range from permanent part time to contract full time. For permanent part time, the shifts operate 24/7, ranging from 4 to 14 hours. However operating shifts’ start and end times vary from site to site. We are open to negotiation on this front. Are you looking to make a positive impact on people’s lives and your local community? At Civic, you will be able to make a contribution to someone’s life and help them become their best self. It is an extremely fulfilling role for those passionate about caring. In addition, it is a beneficial character building experience that can translate into becoming better person and developing your sense compassion for those struggling with a mental and/or physical handicap. We offer a competitive and generous salary package for all our available positions. Our award rates start at $24/hr based on your qualifications and experience. Study the details of each role on our careers page to get a better understanding of each offering. Are you starting your career or seeking to extend your experience in caring, fitness, health and disability support worker roles? At Civic, we offer training, development, health, and wellness programs to help you advance your skills and knowledge, in order to develop your career. In addition; the experience you gain working with us will help position you as a standout applicant for future roles. If you’re passionate about pursuing a highly rewarding career through one of our disability support jobs, then don’t hesitate to check out our careers page for more info.